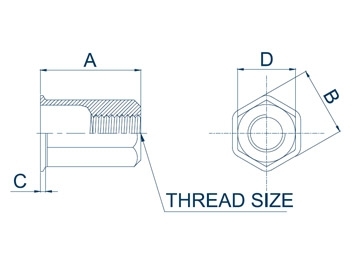 ‧ The NF-M-L is based on the European rivet nut design that is becoming the global standard. The body sizes fit the hole sizes used in Europe, South America, Japan and Asia. ‧ Thin head for near flush installation with no special hole preparation. 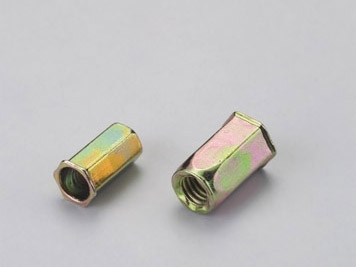 ‧ Available in open and closed end in steel, aluminum and stainless.